have to say I had very high hopes for Lima’s Taste. 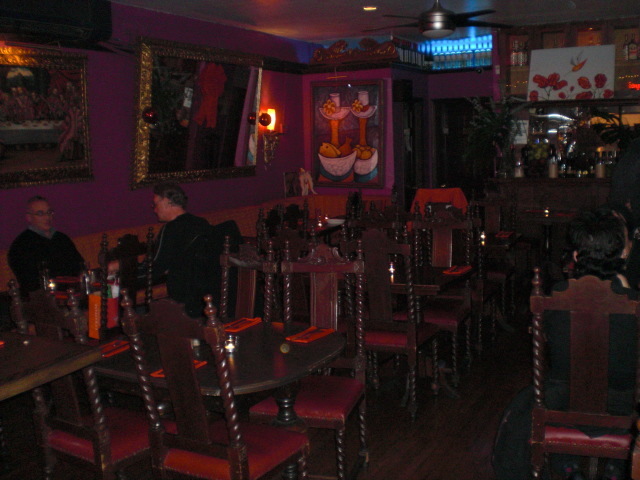 I love Ceviche and with this restaurant being in a fantastic location in Greenwich Village I was really looking forward to a great meal, I walked away disappointed although there were some bright spots. 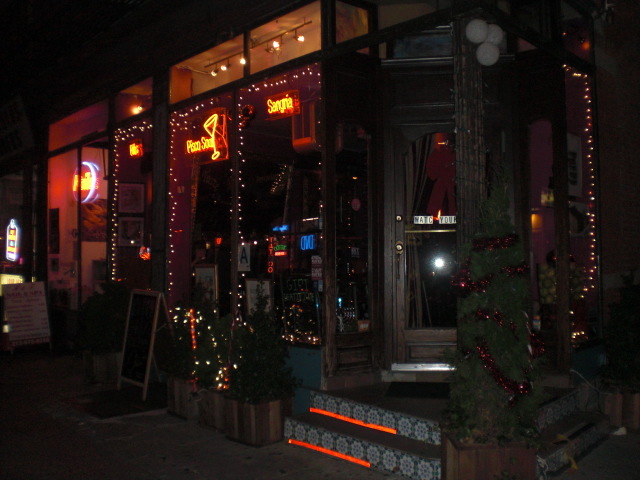 The restaurant has not been opened long and its right in Greenwich, on Christopher Street in the heart of the Gay Village. The restaurant has great dark woods, nice up lighting & does serve beer, wine, sangria and mixed drinks. We were greeted right away by a very lovely young lady. She was attentive and knowledgeable but she was the only server and when it started to get busy she was really pulled very thin in all directions. 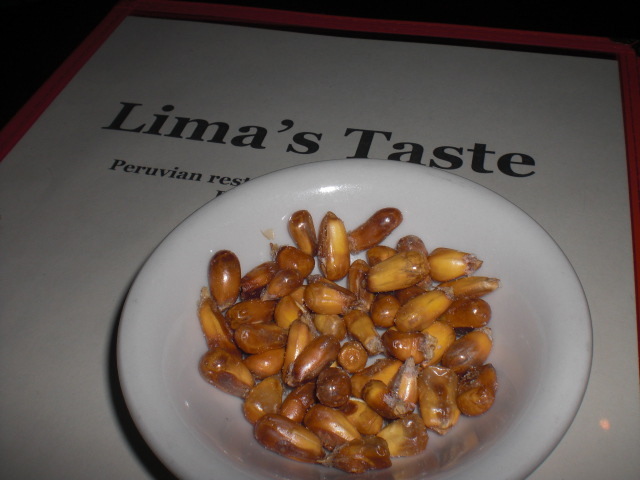 We were served a small complementary dish of Dried Peruvian Corn which was nutty and had a great consistency to start off. Before I get into the specifics on our meal let me first say, the dishes sounded great, but after what we were served the prices were way too high for the portions. 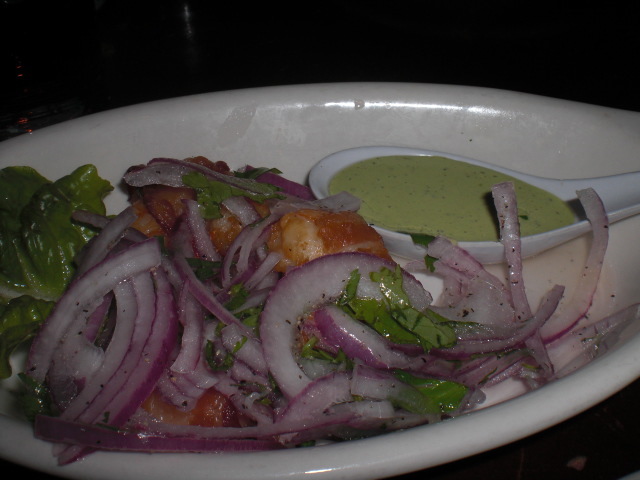 We started out with Shrimp Wrapped In Bacon – Served with a spicy dipping sauce for $12.00. The Shrimp were very good, but we were only served 3 small shrimp, not really enough for one person to enjoy. 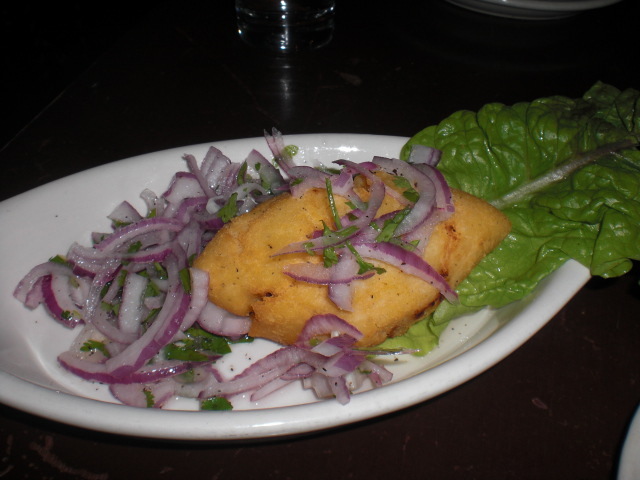 We then shared the Papa Rellena – Deep fried smashed potato ball stuffed with raisins, beef & olives for $10.00. Again we were served 1 which is customary but it was the size of a lemon, way too small for the price. 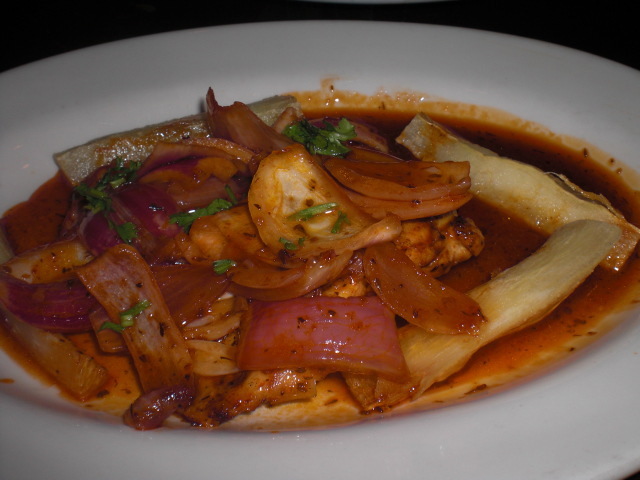 For our main entrees I had the Escaveche de Pollo – Chicken breast pan seared in a vinegar & panca pepper sauce topped with crispy sweet onions served over yucca for $19.00. The sauce on this dish was to die for an eclectic blend of vinegar, sweet & spicy, I highly recommend trying this dish. 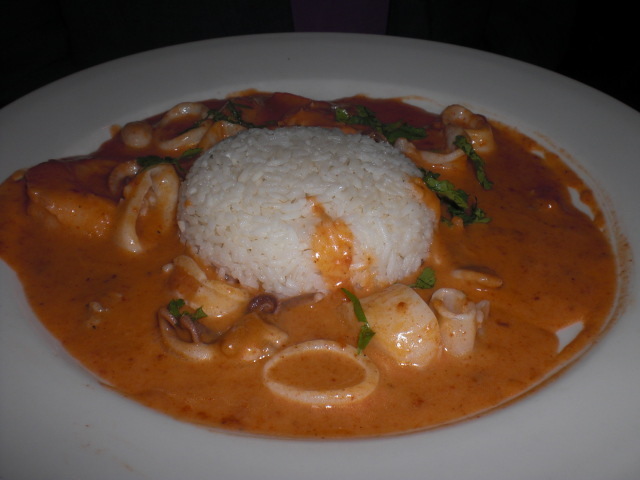 My dinning partner had the Picanta – Shrimp, sea scallops, squid & baby octopus served with rice in a choice of creamy pepper sauce or light white wine and lemon sauce for $25.00. He choose the creamy pepper sauce and was highly disappointed. The dish was served luke warm to cool and it seemed the sauce was not prepared to order, rather done at another time and just heated up. Sadly I probably would not return to Lima’s Taste until they bring their prices down or increase their portion sizes. Some of the dishes on the menu like their Paella are probably very good. They do offer free wi-fi which is great, but their website at www.limastaste.com is currently down.